Through Petals Flowers Ash Island, New South Wales you are able to send a huge range of premium quality flower bouquets, arrangements, roses, and more to be delivered to Ash Island and Ash Island's surrounding areas and throughout Australia. Beautiful flowers delivered by local florists to Ash Island! Our network has been putting smiles on people's faces since 1992 and is the ONLY network to operate in Australia, New Zealand and the United Kingdom from the one location! With awards ranging from National Small Business of the Year and Best Supply Chain to Regional Exporter of the year, we have never underestimated the importance of the quality, reliability and freshness of our flowers and gift baskets. Our florists can same-day deliver flowers and gift baskets around Australia, New Zealand and the United Kingdom if your order is placed before 2pm (Monday to Friday for Australian and New Zealand orders); 12pm (Monday to Friday for United Kingdom orders); and 10.30am (Saturday for Australian, New Zealand and United Kingdom orders). Don't forget that we also provides next-day international delivery to over 70 other countries around the world! Order your gift online or via telephone! Your floral or gift basket delivery is always given the highest priority... it's something that we call "The Petals Network Difference!" 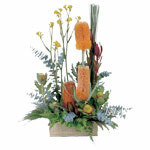 All fresh flower and gift basket orders sent throughour Network are subject to the "3-Way-Test". The 'Test' is something that we have developed as a result of our years of experience and personal contact with customers. It's only when orders pass the Petals 3-Way-Test that we know our customers will be happy, and that the orders are ready to be processed and delivered... in short, this is when we know that customers will experience 'The Petals Network Difference." By the way.... less than 1% of orders that come through our Network have complaints! To say you're sorry.... and that you'll try and make things better! We all need to 'eat humble pie' sometimes and convey apologies to our friends and loved ones. It might be for an unfortunate disagreement, a missed appointment, or you may have let someone down in some way. Help to say you're sorry by sending fresh flowers or a thoughtful gift basket. She said she absolutely LOVED the flower arrangement. I use petals.com.au every year and I am always VERY happy and pleased with the way you all do arrangements. Thank you so very much. I am sorry I was so worried. Being here in the states, it's hard to track things down sometimes. Thanks again for everything! As always, wonderful job! THANKS! Petals Network has a network of over 1000 florists Australia wide to provide you with beautiful fresh flowers delivered same day. If you want to send flowers online to the Ash Island area, we will have a local Ash Island florist deliver the freshest flowers available to the door! We have a wide range of flowers, roses, bouquets gift baskets and arrangements to suit any occasion including a birthday, an anniversary, a new born baby, romance, sympathy, funeral, natives and flowers just to say thank you. If you want a local florist near Ash Island to deliver the freshest flowers to Ash Island. Need a florist in Ash Island Australia. 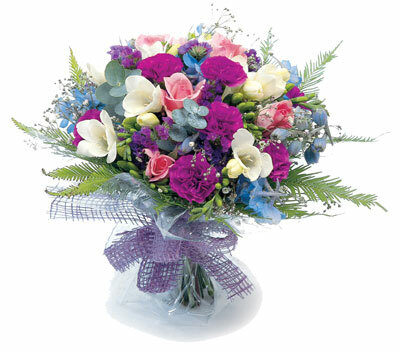 in Petals is a leading online florist in Australia. We have a number of nearby florists servingAsh Island. That means you can get fresh flowers delivered to Ash Island easily. Our flowers delivered to Ash Island will always be delivered by a local florist. Find the right florist in Ash Island. We have all sorts of flowers available for delivery to Ash Island. Need flowers to be sent to Ash Island? With Petals Ash Island, New South Wales we will have a local florist deliver only the freshest flowers available. Flowers freshly delivered by local florists - that's the Petals Difference. Need gifts to Ash Island? Visit Petals Network's gift web site, . Send gifts to Ash Island, New South Wales with Grumleys. Grumleys has a large range of gifts for all occasions including birthdays, anniversaries, celebrations and new baby congratulations.